All For Animals host Susan Richard gets the scoop on TNR: Trap/Neuter/Return, the humane method for controlling the overpopulation of feral and stray (community) cats. 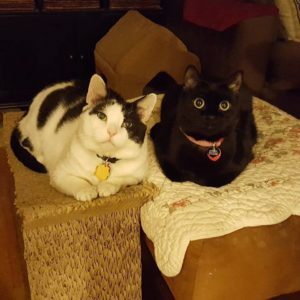 Susan talks with Kathleen O’Malley, Director of TNR Education at the NYC Feral Cat Initiative, a program of The Mayor’s Alliance for New York City’s Animals, as well as Community Cat Caretaker Sheila Massey, who manages a cat colony in Manhattan. Learn more about helping the community cats in your neighborhood at www.NYCFeralCat.org.